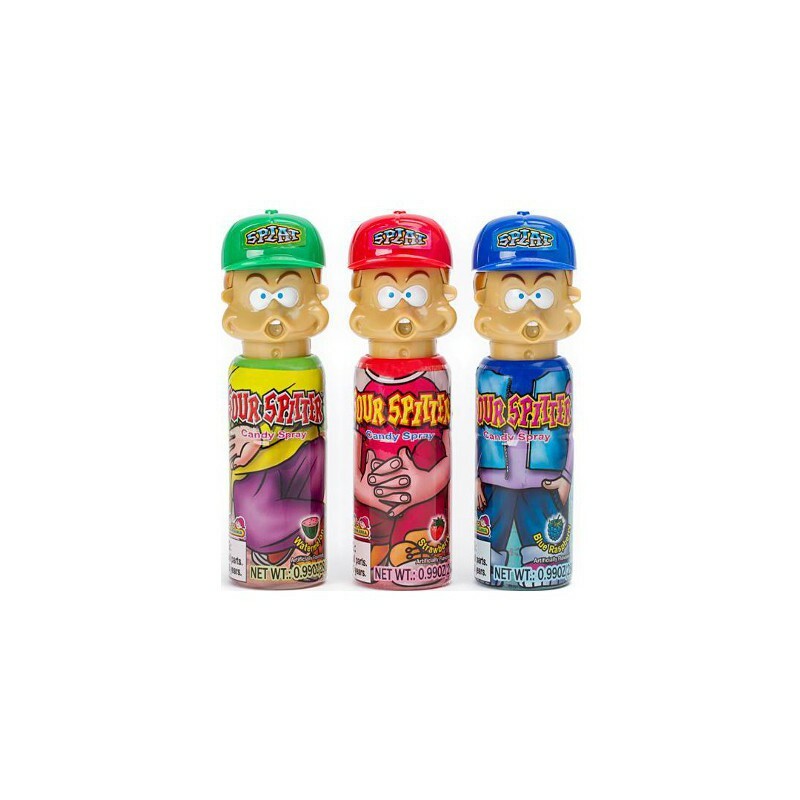 Available in blue raspberry, watermelon, and strawberry flavors, these sweet n' sour candy sprays from Kidsmania will make you forget your manners! Just push down on the baseball cap for a sour fruity spritz straight on your tongue. This playful treat is great for party favors, gifts, and stocking stuffers! Remove protective cap and press against nozzle. Caution: Contents under pressure. Keep away from heat. Do not puncture. Not recommended for children under 3 years. Water, glucose syrup, sugar, acidity regulator E330, artificial flavors, preservative E211, colors E129*-E133. May contain traces of gluten, soy, peanuts, tree nuts and seeds. *May have an adverse effect on activity and attention in children. Not recommended for children under 3 years. Contains GMO. Nutrition facts (for 100g): calories 143Kcal, total fat 0g (saturated fat 0g), total carbohydrate 35.7g (sugar 28.6g), protein 0g, salt 0g.